Jaycie is the definition of perseverance – After moving to a new town, she quickly established herself as an athletic point guard with her new team, Jaycie earned a Varsity spot as a freshman. In the middle of the year, Jaycie suffered a season ending injury. After sitting on the sidelines during her recovery, she became more focused than ever. 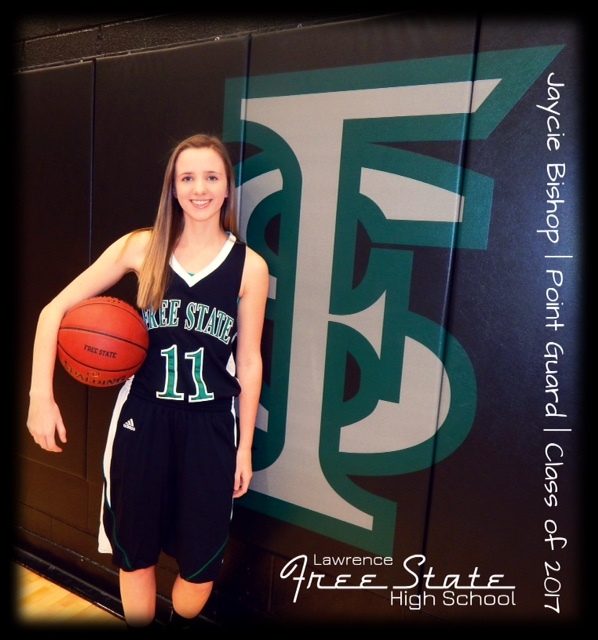 Because of her determination and passion for the game, she is a Varsity Point Guard at Lawrence Free State High School. Jaycie rose above a set back .. And will only continue to get stronger. She is a true Skylar Scholar.